Following a performance of Beethoven’s Ninth at Teatro alla Scala, Bryan Hymel travels to the U.S. for his house debut in Bizet’s Carmen at the Washington National Opera. 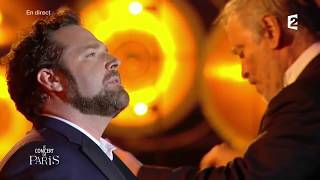 Bryan sings Don José, a role he performed to great acclaim in 2010, having enchanted the audience who “sat breathlessly during the arias in the repertoire” (La Nacional). The American tenor continues the role of Don José at the Royal Opera House in London, performing alongside Elena Maximova, and Anita Rachvelishvili as Bizet’s heroine. Closing out 2015, Bryan performs the title role in Berlioz’s La Damnation de Faust at Opéra Bastille with Sophie Koch and the Opéra National de Paris. Discover Bryan’s full schedule here.